Feb 25, 2016 (LBO) – The Ceylon Chamber of Commerce has hailed the proposed Economic and Technology Cooperation Agreement (ETCA) with India, but has urged Systematic Consultations with the Private Sector. The chamber said in a statement that any bilateral or regional agreement that Sri Lanka forges must be supportive of the country’s holistic economic interests rather than cater to individual business interests. “It must recognise size asymmetry of the economy; and must take a phased approach to liberalisation where domestic regulatory systems need updating.” the statement said. The full text is reproduced below. The Ceylon Chamber of Commerce has consistently supported the expansion of Sri Lanka’s trade interests through signing mutually beneficial and well-designed trade agreements, and this has been clearly articulated in our ‘10 Principles’ on the economy. The Chamber believes that such agreements are an important tool in deepening trade and investment opportunities for our businesses, within a rules-based framework. 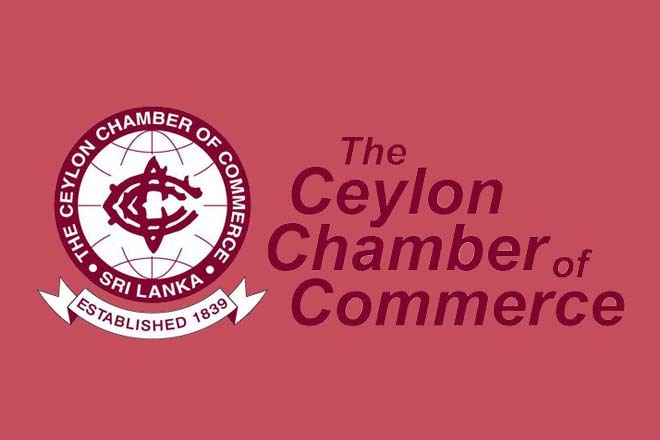 The Ceylon Chamber welcomes the Hon. Prime Minister’s statement in Parliament this week explaining the Government of Sri Lanka’s (GoSL) stance on the proposed Economic and Technology Cooperation Agreement (ETCA) with India. This statement can help allay misperceptions around the proposed ETCA. The Chamber now urges the authorities involved in the ETCA process to build on this by adopting a systematic consultative and information sharing process with the private sector. Any bilateral or regional agreement that Sri Lanka forges must be supportive of the country’s holistic economic interests (rather than cater to individual business interests); must recognise size asymmetry of the economy; and must take a phased approach to liberalisation where domestic regulatory systems need updating (for instance, on movement of natural persons in professional services). An important element in the overall process of forging new agreements is transparent, systematic, and broad-based consultations with the private sector. The Chamber observed with concern the level of misinformed opposition proliferating in the media regarding the proposed ETCA, which can in part be attributed to the lack of robust information sharing and a systematic consultative process. We extend our support to the government to help more stakeholders in the private sector understand the gains and challenges of such a bilateral agreement. A dialogue process that is well structured and includes all relevant stakeholders can mitigate the risks of the current ETCA process suffering from the difficulties that the earlier proposed Comprehensive Economic Partnership Agreement (CEPA) suffered. We call on the government ministries and departments involved in the process to adopt a more systematic approach to private sector consultations, so that we may mobilize evidence-based representations from the private sector. The Chamber also encourages technical experts from the government (particularly the Department of Commerce) to play a more active role in educating the public, addressing queries/concerns of the private sector, and providing relevant information in a timely manner. While we recognize that the final text of an agreement cannot be made public due to the nature of bilateral trade negotiations, the GoSL can consider publishing a ‘White Paper’ on ‘Expanding trade in services, investment and economic cooperation with India’, which captures the GoSL thinking on the issue, and clarifies the approach to be taken. The Department of Commerce can consider setting up an ‘Inquiry Desk’ either in person or on a dedicated website where questions and clarifications on the ETCA can be directed. Undoubtedly, there are valid concerns of an uneven playing field faced by Sri Lankan business in India. In order to build confidence, the Indian government should move quickly to clear some contentious issues facing Sri Lankan businesses that trade with India. Solving non-tariff barriers (NTBs)/Non-Tariff Measures (NTMs) should be given priority. The Chamber understands that the Framework agreement includes a chapter on ‘Early Harvest’ of barriers to trade in goods (including quota issues and NTBs). India must support this. The ETCA negotiation process can accelerate a Mutual Recognition Agreement for standards, and also establish an efficient and effective dispute resolution mechanism to resolve issues faced by business on both sides on a regular basis. This can build further confidence in the bilateral agreement. Meanwhile, opposition to the ETCA – and indeed further overall liberalization of trade in goods and services – citing ‘national interest concerns’ must be carefully examined alongside the potential gains to consumers and firms in Sri Lanka. The latter too is ultimately a matter of national interest. The Chamber urges GoSL to not entertain protectionism that may come under the guise of national interest concerns. It is important that GoSL looks beyond the narrow commercial interests of the few and instead focus on the broader economic imperatives of exports, investments, and job creation to set a course for the future prosperity of the economy. The Chamber also strongly endorses the Prime Minister’s comments in his recent statement that Sri Lanka needs to focus on expanding the markets for our exports and tap in to the growing middle class in emerging economies in Asia and Europe. Over the last decade and a half, the Sri Lankan economy has become more closed and more inward looking than before, resulting in a falling share of global exports and a declining exports-to-GDP ratio. As a small economy with a limited domestic market, trading more with the world and welcoming more business and investment partnerships from abroad is our only path to prosperity. In this, greater openness to trade in services cannot be ignored, owing to its strong and growing link to goods trade and investment. Services liberalization needs to be pursued, within a mutually-beneficial framework and following stakeholder discussions. Many of our Chamber’s members produce world-class products and services, are winning in competitive market niches abroad, and have high quality management practices, and environmental and labour credentials. Opening up to the world would only sharpen these competencies, and also provide new channels for the best firms to make a stronger mark overseas. In conclusion, the Ceylon Chamber reaffirms our fullest support towards an agreement that widens and deepens our economic engagement with India, while reiterating the need for systematic stakeholder consultations, clear and coherent communications, and firm commitment to tackling issues faced by businesses. While it is governments that sign trade agreements, they ultimately impact – positively and negatively – on consumers and businesses. The trust and confidence of the private sector in new trade agreements the government may forge in the future necessarily depends on how the ongoing ETCA process is handled.